No review or tasting notes on Hine Homage. 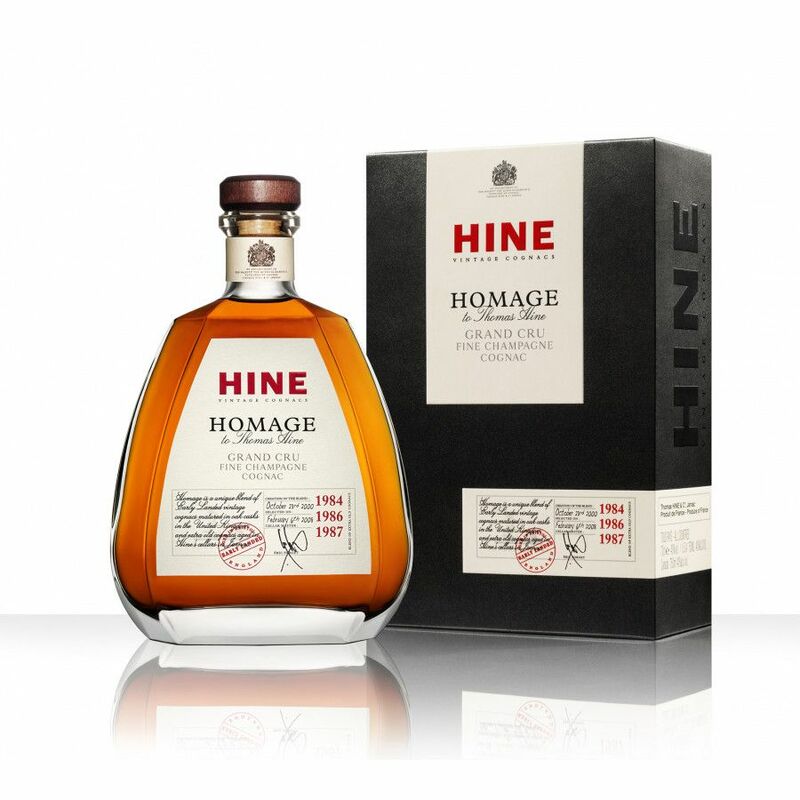 Hine Homage Grand Cru Grande Champagne cognac is a blend that consists of over 20 old, different eaux de vie, including three vintages / millesimes Early Landed 1984, 1986 and 1987. The unique blending results to a certain british style. Eric Forget, cellar master of Hine created this cognac. Tasting review: Eye: Soft, pleasing golden color Nose: Fresh, clean, spicy yet fruity Palate: Flavorsome, crisp, and well defined. A combination of grapes, fleshy fruits, and aromatic spices. Tasting review by Charpentron: Amber in color, this cognac represents all the expression of a Grande Champagne cognac. A very fruity bouquet and taste - woody, yet subtle. One of the responsibilities that comes with being a global company is to give back to your community.